The Primitive Methodist chapel in King Street, Sileby has stood for 150 years. 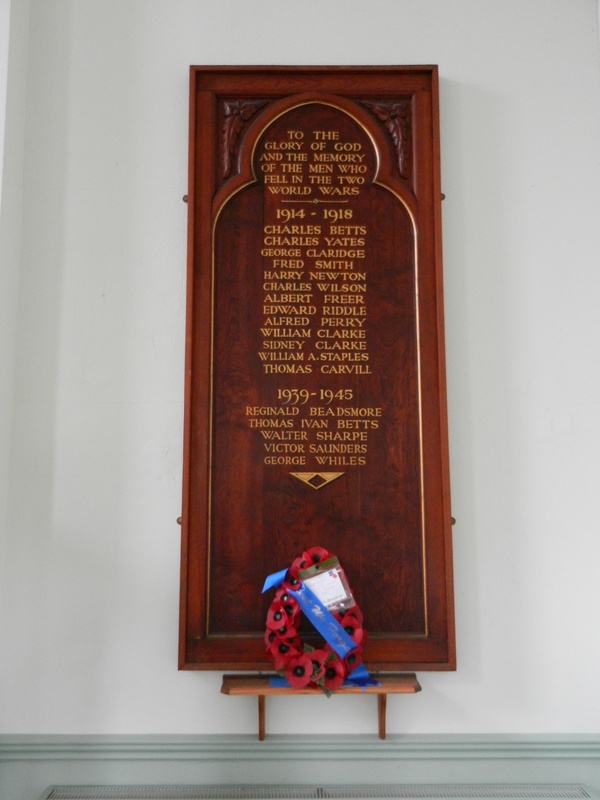 After the Second World War this memorial was erected. Comparison with the village war memorial reveals that in both wars about one in seven of the total war dead were Primitive Methodists. 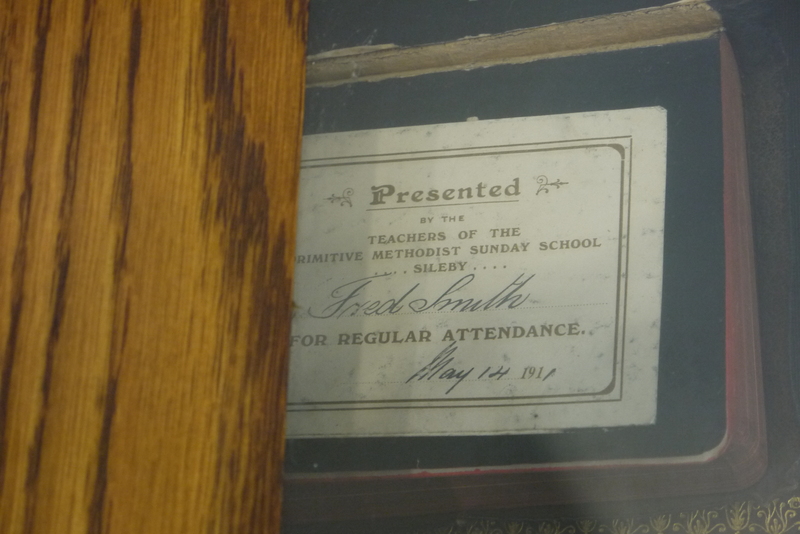 Fred Smith’s Sunday School attendance prize is displayed below the war memorial.